THE PREVENTION and simulation of chemical leakage has become one of the most important topics in the fields of environmental protection and process safety. Thermal Power plants are the major source of generation of electricity for any developing country. A power plant can affect the environment during its construction and its operation. These effects, or impacts, can be either temporary or permanent. A power plant and its auxiliary components (e.g. natural gas pipelines, water intakes and discharge, coal delivery and storage systems, new transmission lines and waste disposal sites) occupy space on the ground and in the air, use water resources, and, in most cases, emit pollutants into the air. Before construction of any electric facility it is required to study its impact on the environment. The environmental impact study shall cover the impact of the plant on the environmental in case of normal operation and accident condition through air. 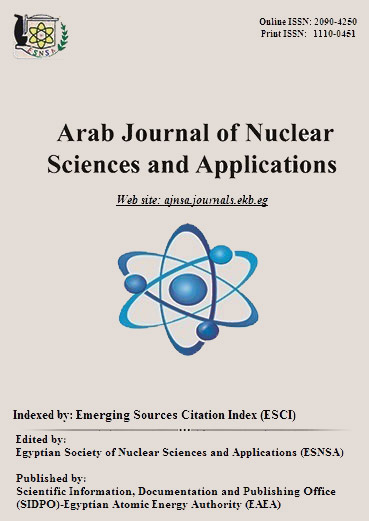 This paper covers the analysis of the meteorological parameters and calculate the concentration of pollutants emitting from two stacks of Electric Station-Power Plant, Damanhur, Egypt by simulating seasonal dispersion of pollutant. This plant uses mainly natural gas as fuel. The most likely pollutants emitted from the stack of the plant are nitrogen oxides, carbon monoxide, sulfur oxides, and particulate matter. For normal emission the AirPacts module was used in the Simplified Approach for Estimating Impacts of Electricity Generation (SIMPACTS) to calculates the physical impacts and the associated damage costs for the following types of pollutants namely,sulfur dioxide (SO2), nitrogen oxides (NOx), carbon monoxide (CO). For risk assessment, the Hybrid Single-Particle Lagrangian Integrated Trajectory (ALOHA) Model was used with different scenarios. Through this study, dispersion models are derived for nitrogen dioxide and methane concentrations for different scenarios, which result from the fuel combustion process , to determine the distance to a defined toxic endpoint and develop a prevention/emergency response program accordingly.